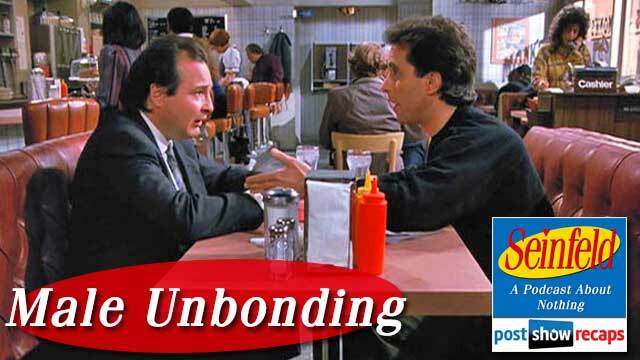 Rob Cesternino and Akiva Wienerkur continue their journey back to recap all of Season one of Seinfeld as they discuss the fourth episode to ever air, “Male Unbonding”. The plot of the episode involves Jerry trying to break things off with an old childhood friend, Joel Horneck. As the episode goes on, Jerry realizes that there’s no easy to break up with a male friend the way you break off a romantic relationship with a woman. What are the different ways this episode is shot that set it apart from other Seinfeld episodes? Why were the best parts of the episode talking about Joel Horneck rather than seeing him? Why are things not working in George’s latest romantic relationship? How did George get floss on his hand during his date? Is there still anybody out there that is a “screener”? Are there actually places where you can now make your own pizza pie? What are the real reasons Jerry doesn’t like hanging out with Horneck? Would anybody actually ever give away Knicks tickets in 2014? Would Joel Horneck actually know the difference between real turkey and turkey roll? Should the person who breaks off the relationship have to pay the check? What would George do with all his pennies in 2014? What should people do instead of making an “excuse rolodex” in 2014? How often did people have to check their machine (as Elaine does) in 1990? 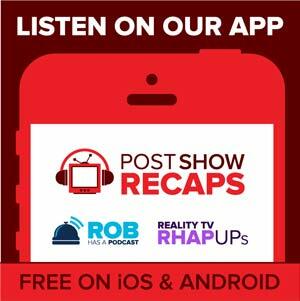 Join us next week when Rob and Akiva discuss the final Seinfeld episode from the first season of the show “The Stock Tip”.